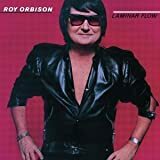 Roy Kelton Orbison (April 23, 1936 – December 6, 1988) was an American singer, songwriter and musician known for his impassioned singing style, complex song structures, and dark emotional ballads. The combination led many critics to describe his music as operatic, nicknaming him "the Caruso of Rock" and "the Big O". While most male rock-and-roll performers in the 1950s and 1960s projected a defiant masculinity, many of Orbison's songs instead conveyed vulnerability. His voice ranged from baritone to tenor, and music scholars have suggested that he had a three- or four-octave range. During performances, he was known for standing still and solitary, and for wearing black clothes, to match his dyed jet black hair and dark sunglasses, which lent an air of mystery to his persona. Born in Texas, Orbison began singing in a rockabilly and country-and-western band in high school. He was signed by Sam Phillips, of Sun Records, in 1956, but his greatest success came with Monument Records. From 1960 to 1966, twenty-two of his singles reached the Billboard Top 40, and he wrote or co-wrote almost all that rose to the Top 10, including "Only the Lonely" (1960), "Running Scared" (1961), "Crying" (1961), "In Dreams" (1963), and "Oh, Pretty Woman" (1964). Soon afterward, Orbison was struck by a number of personal tragedies while his record sales declined. In the 1980s, he experienced a resurgence in popularity through the success of several cover versions of his songs, and in 1988, co-founded the Traveling Wilburys, a rock supergroup with George Harrison, Bob Dylan, Tom Petty, and Jeff Lynne. He died of a heart attack later that year, at the age of 52. One month later, his song "You Got It" (1989), co-written with Lynne and Petty, was released as a solo single and became his first to break the U.S. Top 10 in twenty-five years.